Collections are arranged alphabetically and include a brief description to assist in selecting material for research. Links to tools such as finding aids, inventories, and databases are also included to assist in locating materials within the collection. Finding aids, which are guides to the collections, are available for processed collections. The finding aids are in PDF and/ or EAD format. For collections that have not been fully processed, inventories and/ or databases are available upon request. The archives holdings can be accessed through the CUNY+, OCLC and RLIN online catalogs. We strongly recommend for researchers to utilize finding aids in order to assist with any information you may be looking for. The Quality of Life in/ Calidad de Vida en Loisaida magazine was created and edited by Mary M. McCarthy after she moved to Loisaida (Lower East Side) in 1977. McCarthy wanted to create a neighborhood guide for residents. The bilingual and bimonthly magazine was distributed free of charge within the community. Most of the staff were volunteers. The magazine published articles submitted by community residents regarding issues impacting Loisaida such as education, housing and jobs. Marlis Momber served as the magazine's official photographer. This collection is an important resource for information on housing and other social issues affecting the residents of the Lower East Side. The collection consists of The Quality of Life in/ Calidad de Vida en Loisaida magazines spanning from the first issue published in March 1978 to December 1992. Dancer and choreogapher of Mexican and Puerto Rican descent. 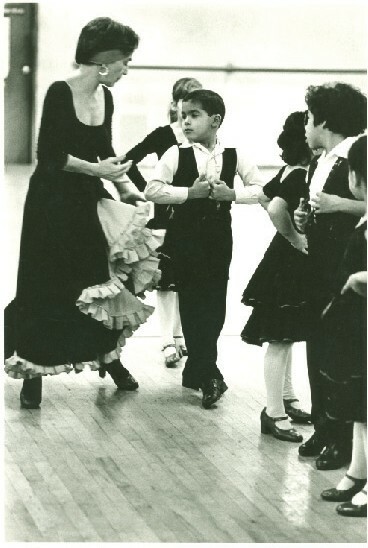 Ramírez founded the Ballet Hispanico dance company in 1970 and served as its artistic director for 39 years. She was awarded the National Medal of Arts in 2005. The contents of the collection were used by the company for advertisement purposes. The materials include news clippings, notebooks, photos, slides and documents. The collection also contains videos and audio recordings in several formats. Diana Ramírez de Arellano was an author of numerous poetry and literary criticism books and a Poet Laureate of Puerto Rico. She had a long and distinguished academic career as a Spanish professor at City College of the City University of New York and at Rutgers University. She was the President and founder of the Ateneo Puertorriqueño de Nueva York and a leading force in literary and intellectual circles of Puerto Ricans and Latin Americans in New York. Consists of letters, minutes, articles, books, programs, newspaper clippings, audiotapes and phonograph records. Ray Ramos is a renowned composer, sonero, performer and bandleader with over 40 years in the music business, recorded 20 CDs and approximately 60 tracks. 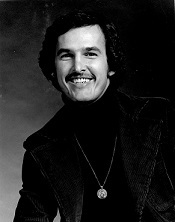 In the beginning stages as a salsa musician, he performed background vocals and lead vocals for bands such as The Ralphi Pagan Sextet and lead vocals for Joey Aponte, Louie Rey and others. In 1976, he joined El Conjunto Saoco, recording his first album with Salsoul Records as lead singer. He recorded three albums with Saoco thereafter. He eventually went on to form his own band La Charanga Sensual and later formed the Ray Ramos y Su Sonora Orchestra in 1981. He has performed at venues such as The Copacabana, El Flamingo, La Maganet, La Bar Bat, among many others and has toured all over the world in countries such as Colombia, Puerto Rico, Costa Rica, England, Canada, Martinique. He continues to be active, performing in various locations throughout the United States and abroad. The papers inform researchers about the contributions Puerto Ricans, particularly these three individuals, made to the establishment and expansion of drug abuse treatment and prevention services in New York City, as well as throughout the state and beyond. This collection traces their leadership in the drug treatment field from the early 1970s to the present. Although small, the collection documents the personal lives and professional accomplishments of the rehabilitation program pioneers. Other highlights of the collection include records from the New York State Division of Substance Abuse and accompanying materials from the Committee on Government Integrity, which lend insight into the growth of substance abuse programs and services in New York, the role of Puerto Rican leaders in this process and the government investigation into allegations of funding improprieties. Of note is a StoryCorp recording by Carlos Pagán, which traces the development of drug rehabilitation programs and services in New York City and the numerous Puerto Ricans who were part of these efforts. The collection consists of awards, correspondence, clippings, flyers, notes, programs, publications, photographs, writings and a CD and DVD. The collection consists of 5 portraits belonging to Clara Restrepo and documents from the Archilla Family Reunion in Dallas, Texas, 1979. Included among biographical sketches is a piece by Graciany Miranda Archilla, a poet, journalist, essayist and co-founder of the literary movement Atalayismo, whose papers we hold in our archives. Educator, scholar, activist and university professor. The papers are a valuable resource for the study and understanding of public education and the Puerto Rican/ Latino community in New York City from the 1980s-1990s. The documents in this collection fill a significant information gap on important organizations such as ASPIRA of New York, Inc., the Puerto Rican/ Latino Educational Roundtable and the Latino Commission on AIDS. Among the most recurring and most comprehensive topics covered in the papers are bilingual and multicultural education, minority students, the rights of non-English speakers in the U.S., minority language rights, HIV/ AIDS, school dropouts, educational reform, Latino representation on the Board of Education, public school demographics and numerous local and national education associations. The bulk of the materials consist of administrative files. Also included are letters, memoranda, notes, notebooks, minutes, reports, announcements and newspaper clippings. The papers support research in important areas of Puerto Rican history, as well as North American participation in international human rights. While exceedingly rich in insight and information about the development of the Nationalist Party of Puerto Rico and its leader, Pedro Albizu Campos, they also contain materials on other independence movements in Puerto Rico, on political repression and prisoners, and on the colonial relationship between the United States to Puerto Rico. 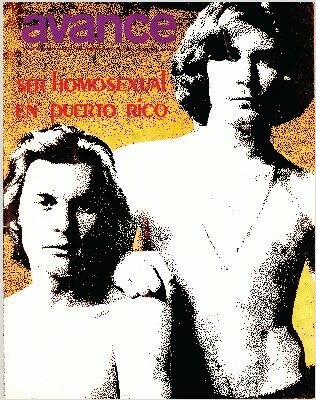 There is also information on the history of the University of Puerto Rico and student movements. The collection consists of awards, correspondence, writings, subject files, clippings, flyers, notes, programs, publications, photographs, secret files known as "carpetas" and audiocassettes. Available on Microfilm. Linda Araceli Rios was the producer and host of the cable television talk show program Latin Close-Up. Rios created the program in 1993 to motivate Latino youth by interviewing accomplished Latino professionals to serve as role models. Rios discussed with her guests their experiences and careers, personal challenges, achievements and accomplishments. Rios discussed a range of topics affecting the community, including controversial ones, such as AIDS, drug education, domestic violence and gun control. The show also provided viewers with live performances of musical artists, such as Tito Puente and Johnny Pacheco. Rios served as chairperson for the American Business Women’s Association (ABWA) and was featured as a dancer in Carlito’s Way and a social worker in Law & Order. This collection consists of articles, audiocassettes, clippings, correspondence, photographs, and various videotape formats of Latin Close-Up segments. Labor leader and former president of New York's largest health care union, 1199 SEIU United Healthcare Workers East, currently chairman of the million member health care division of the Service Employees International Union. The collection includes Dennis Rivera’s writings, photographs and negatives documenting his personal and professional life, artifacts and bound volumes of 1199 News. 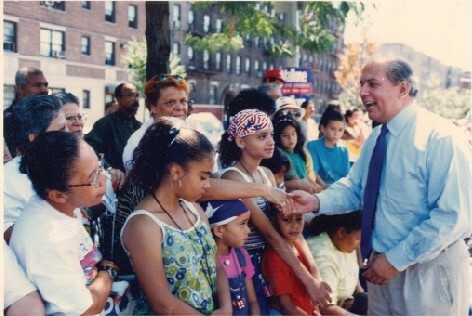 New York State Assemblyman (1992-2012) who represented District 76, comprised of the Bronx's West Farms, Van Nest, Castle Hill and Parkchester neighborhoods. The materials consist of photographs, press releases, clippings, reports, awards and posters. 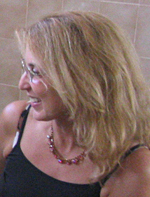 Raquel Z. Rivera is an author and singer-songwriter. She has a Ph.D. in Sociology and her areas of scholarly interest include popular music and culture, race and ethnicity, and the intersections between Latino and Africana studies. From 2006-2009, she was a researcher at the Center for Puerto Rican Studies. The collection helps document Puerto Rican contributions to the creation and development of hip hop and reggaeton both in the United States and Puerto Rico. An extensive collection of audiocassettes and CDs featuring rare and early recordings by underground and Puerto Rico-based reggae artists whose work was a precursor to present day reggaeton. The recordings are inclusive of Puerto Rican/ Latino rap recordings from the island and the U.S., as well as several insightful interviews with many of these artists. 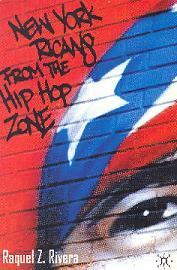 In addition, the collection also contains essays written by Rivera on hip hop and reggaeton, documentation on artists featured on the recordings, videocassettes and DVDs of musical performances, magazines and other publications that capture the cultural and musical impact of hip hop and reggaeton on contemporary Puerto Rican and American societies. The papers consist of correspondence, photographs, flyers, clippings, writings, publications, videocassettes, DVDs, audiocassettes and compact discs. Rita Rivera Barreto, also known as Rita Morales, was an active member of the Puerto Rican community in the Bronx. She became the first Puerto Rican to serve as president of the board of directors of the Pamela C. Torres Day Care Center, an organization founded by Frank Torres and his wife Yolanda Lola Márquez in 1958 and named after their daughter, who died of leukemia in her infancy. The collection consists of a biography, clippings and photographs. 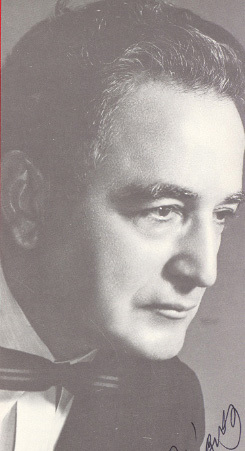 Augusto Rodríguez (1904-1993) was a musician, composer and chorus director. He founded the Choir of the University of Puerto Rico. In 1961, Rodríguez was the recipient of both the Puerto Rican Institute of Culture's and the Puerto Rican Athenaeum's Medal of Honor. 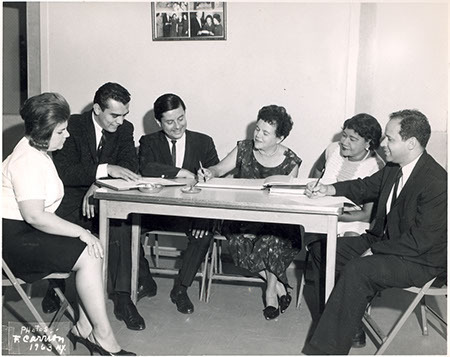 Collection consists of personal and biographical information, information on the Choir of the University of Puerto Rico, Instituto de Cultura Puertorriqueños and music programs. Also included are newspaper articles, audiotapes, phonographic records, artifacts and photographs, which include photos of Willie Rodríguez. Camille Rodríguez, educator, participated in the formation of the Centro from 1973 -1997. Rodríguez worked closely with founding Director Frank Bonilla in navigating the development of an innovative research and advocacy institute within the largest urban university in the United States – the City University of New York (CUNY). She was a permanent member of the Centro’s Steering Committee and played a supportive role in all Centro research and unit areas. Rodríguez was one of the lead plaintiffs in a 1992 lawsuit filed by the CUNY Coalition of Concerned Faculty and Staff to highlight inequities in state funding to CUNY. Rodriguez co-authored articles and publications on education/higher education and was a strong advocate for improving the educational outcomes for Puerto Ricans and other historically-excluded groups. 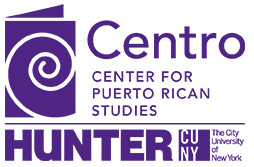 The collection includes papers, posters, photos, programs related to the Centro in addition to her work with Aspira, Puerto Rican Association for Community Affairs, the Academy for Educational Development, the Internationals Network for Public Schools and CUNY’s Guttman Community College. 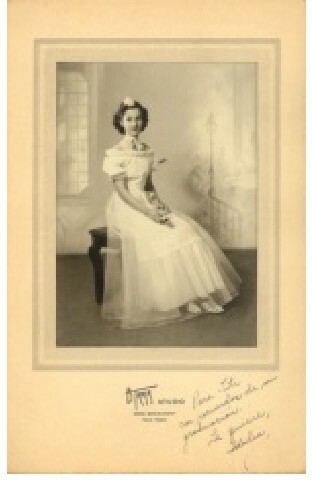 The collection also includes photos and mementos from the 1930s to the 1950s of her parents Louis Rodríguez Maldonado and Lydia Rodríguez Ortiz. Topics: Education and Higher Education; Organizations and Leaders; Visual Arts. A distinguished literary critic and gay rights activist, his papers contain writings, pamphlets, flyers, and some correspondence with authors. Collection contains information on the Tito Puente Scholarship Fund, photographs, a photo album and New York based Latino magazines and concert programs. Actress, singer and one of the original members of Pregones Theater. Collection contains flyers, programs, postcards, videos, CDs, audiocassettes and numerous books and publications that document not only Rodríguez’s career, but also the Puerto Rican/ Latino theater scene in New York City. 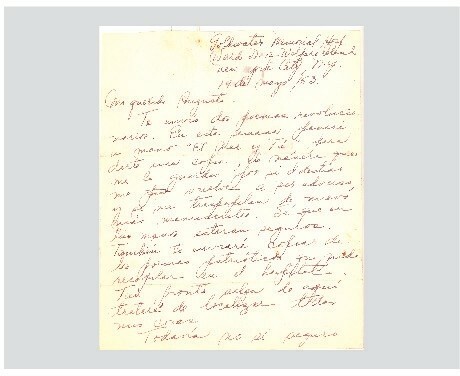 A highlight of the materials is an original letter from Julia de Burgos. Visual artist. Gloria Rodriguez Calero was born in Puerto Rico, raised in New York, worked and resided in New Jersey for 20 years. Collection includes correspondence with Lorenzo Homar, a fellow artist, and a number of books, exhibition catalogues and other ephemera. Included as well are sample artworks, posters documenting performances conducted by Augusto Rodríguez and a map of Puerto Rico. 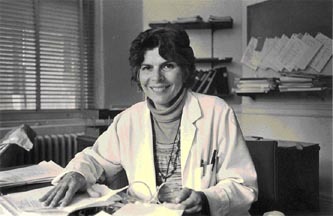 A pediatrician, public health leader and women’s rights activist. 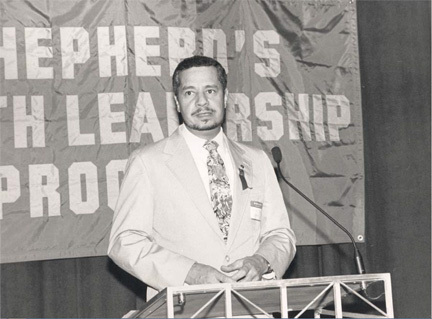 The papers offer information and insight on the personal and professional life of a dynamic, charismatic and multifaceted Puerto Rican pediatrician, activist and community health advocate. The collection is a source for study on the development of a Latina perspective in the broad areas of public health, women’s rights and reproductive health. 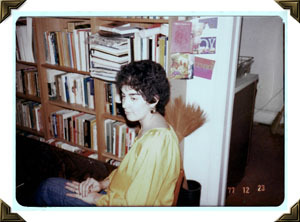 Among the highlights of the collection are numerous biographical articles and profiles on Rodríguez-Trías, obituaries and tributes in print and video formats published or released after her death in 2001, many of her writings and public presentations of the 1980s and 1990s, materials related to her candidacy and presidency of the American Public Health Association in the early 1990s and a photographs that depicts different stages in her life from the 1960s through 2001. The collection consists of correspondence, clippings, letters, memoranda, programs, awards, flyers, writings, speeches, notes, publications, photographs, videotapes, audiocassettes and slides. 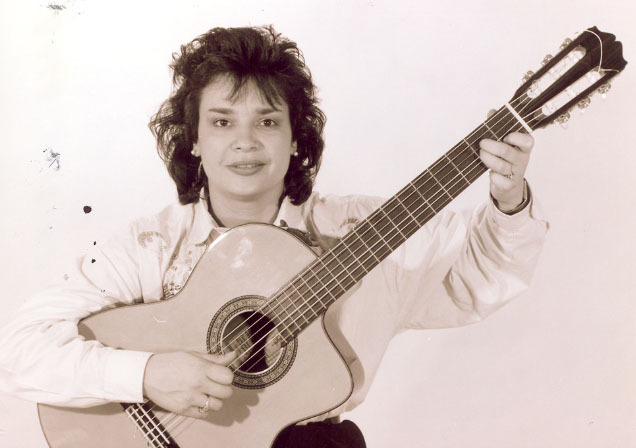 Guitarist and musician whose music expressed the political struggle of Puerto Ricans and the Latino community in general. Collection consists primarily of photographs that document Roldán’s performance career. Included as well are a number of photographic negatives. 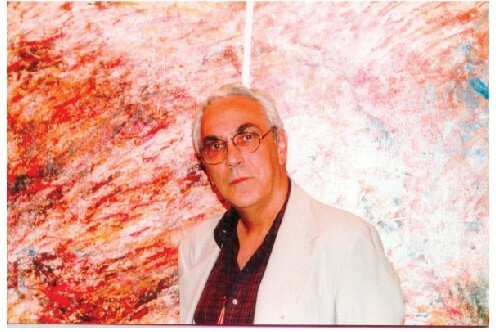 Romero is an art historian, consultant and collector. He founded and participated in various cultural and political organizations. His papers reflect his involvement in these areas and contain rare pamphlets, posters, flyers, correspondence with artists, and an impressive collection of photographs. Genealogy collection consisting of personal documents, including birth, baptism, marriage and identification certificates, as well as various certificates from a masonic fraternity.